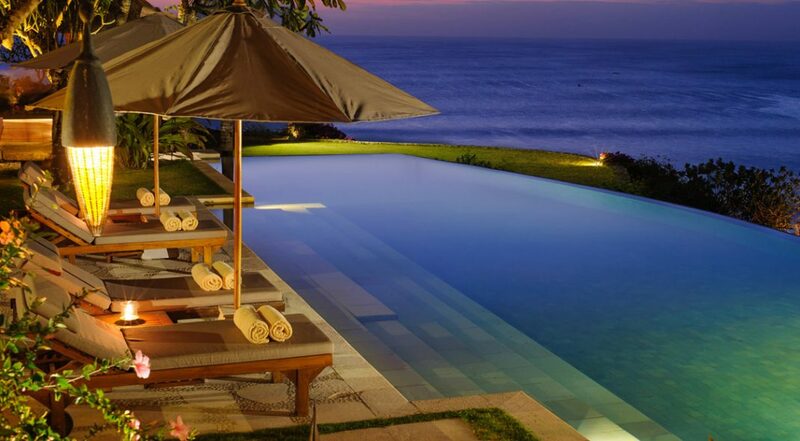 From $ 2,785AUD per night We have direct contracts with most villa owners. We don't add any booking fees. We are 100% transparent with no nasty surprises. 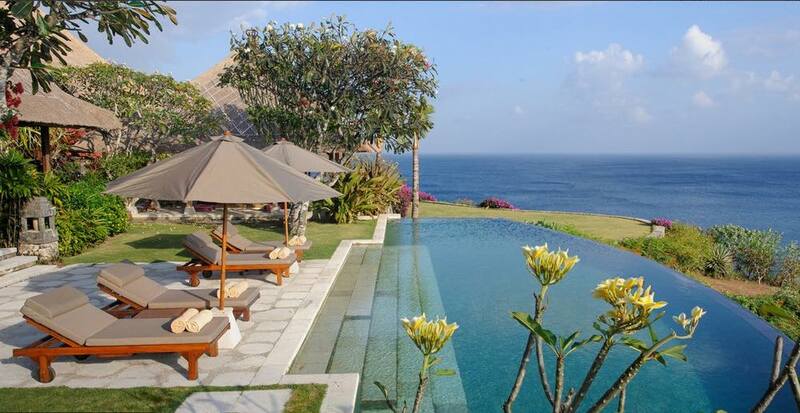 Fabulous clifftop location in Uluwatu - rent this today! 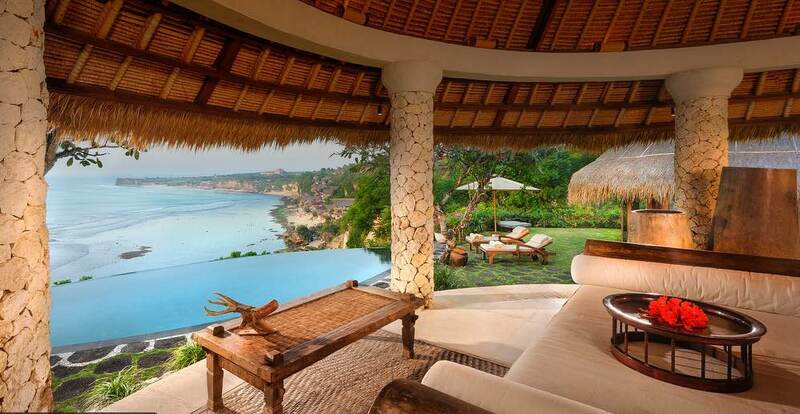 Awesome cliff top location with the most amazing views over the ocean. 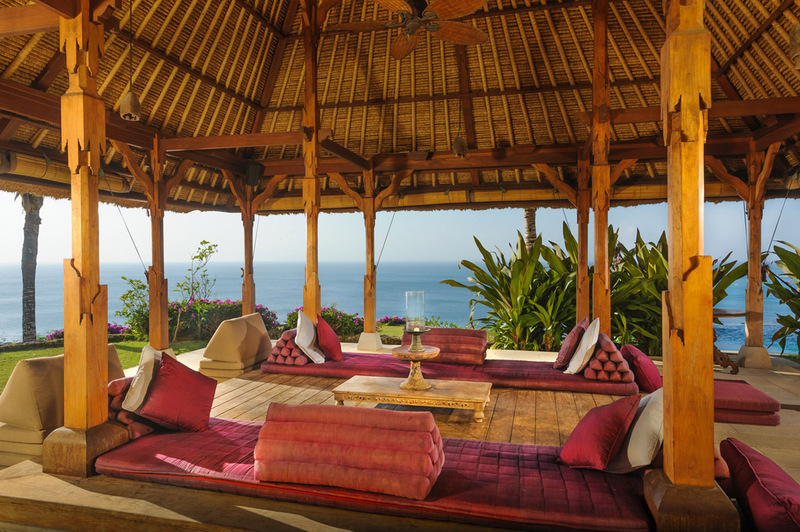 Set above cliff tops on the Bukit Peninsula at Uluwatu, Villa Bayuh Sabbha is a stunning 5 bedroom Uluwatu villa holiday rental featuring traditional Balinese design elements seen in the use of alang-alang roofs, local stone and timbers, artifacts and artworks and above all offers guests a complete sense of peace. 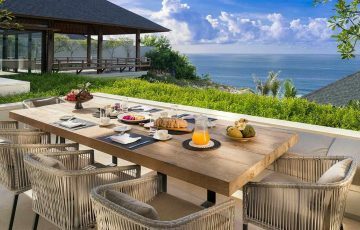 Five bedrooms provide luxury Uluwatu Villa accommodation for a large family, perfect for a reunion or special event such as a wedding. 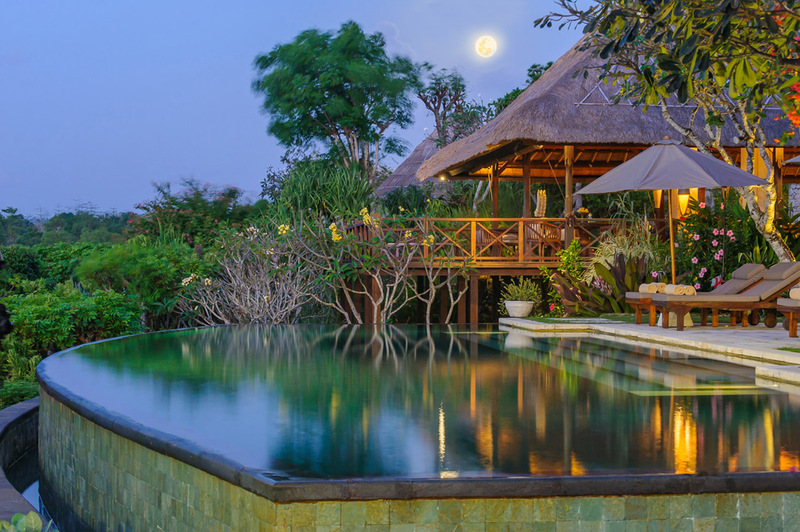 No matter the reason, Villa Bayuh Sabbha will deliver a special holiday experience on every level. 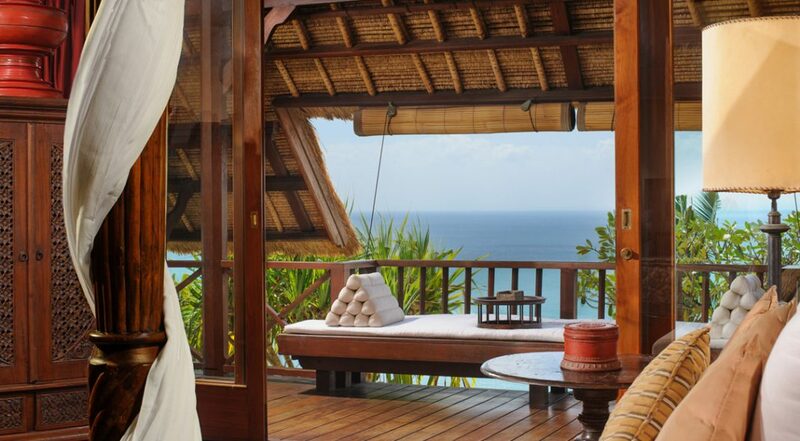 It delivers the WOW factor like no other villa. 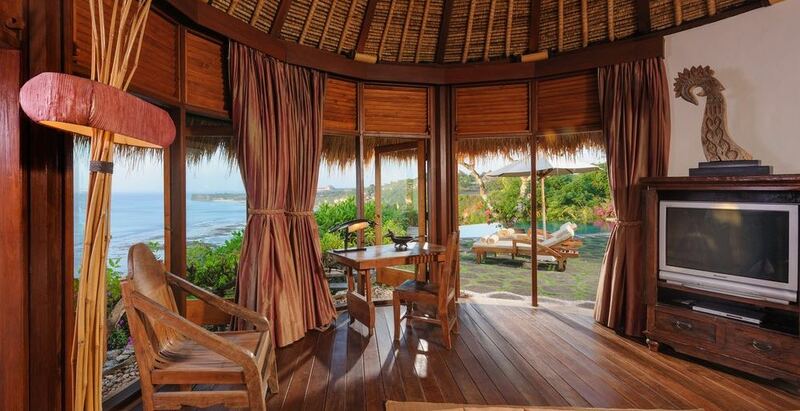 Spend a few days here and you will see why this is one of Uluwatus finest holiday villas. 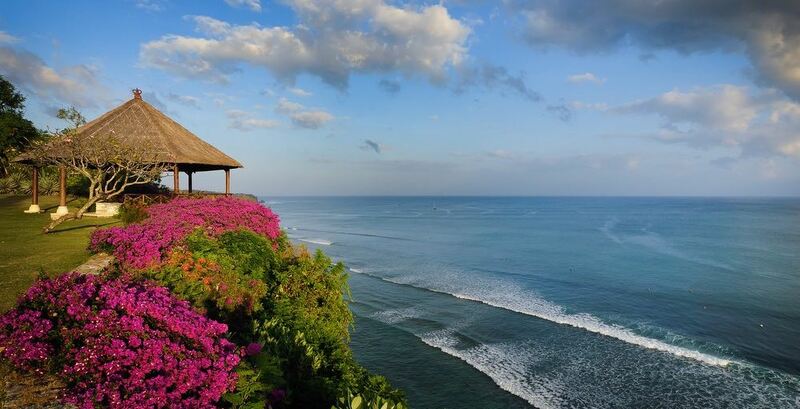 With the rolling waves and the pristine clear waters of Bingin beach, your going to have the holiday of a lifetime in this relaxing and exhilarating part of Bali. 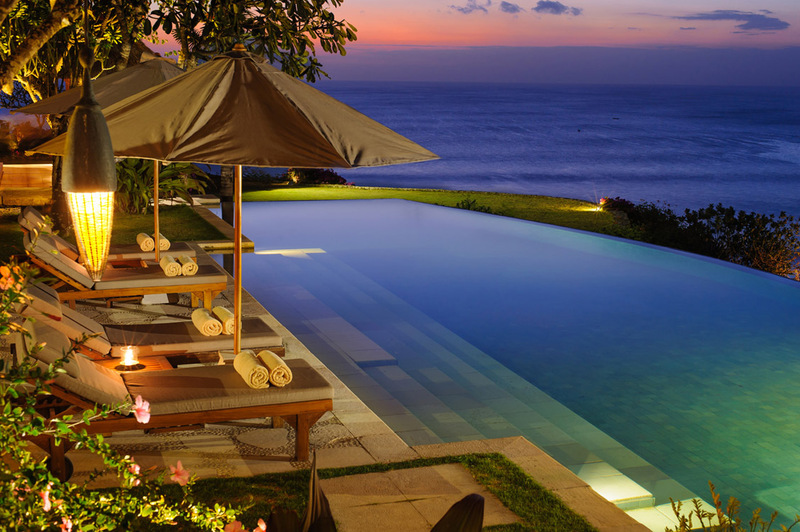 The larger of the two swimming pools is an 18 meter crescent shaped infinity pool that provides amazing views of the Indian Ocean and rugged Uluwatu coastline. 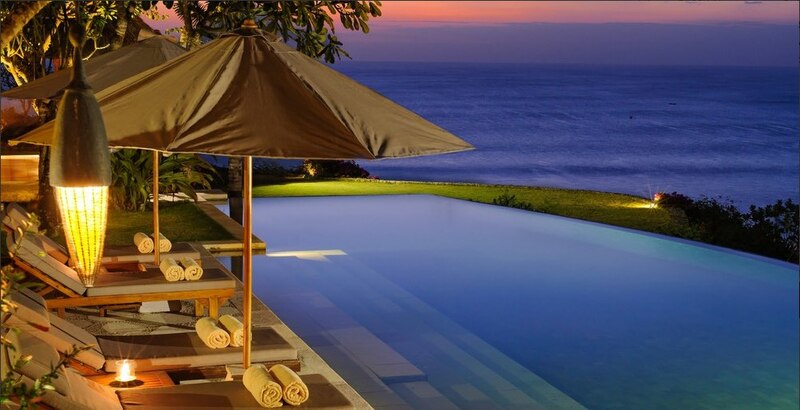 The second, smaller infinity pool also affords the same views of the main pool, both have large stone pool decks with plenty of recliners with parasols, manicured lawns are flanked by well maintained tropical gardens bursting with vibrant bougainvillea and elegant frangipani trees. 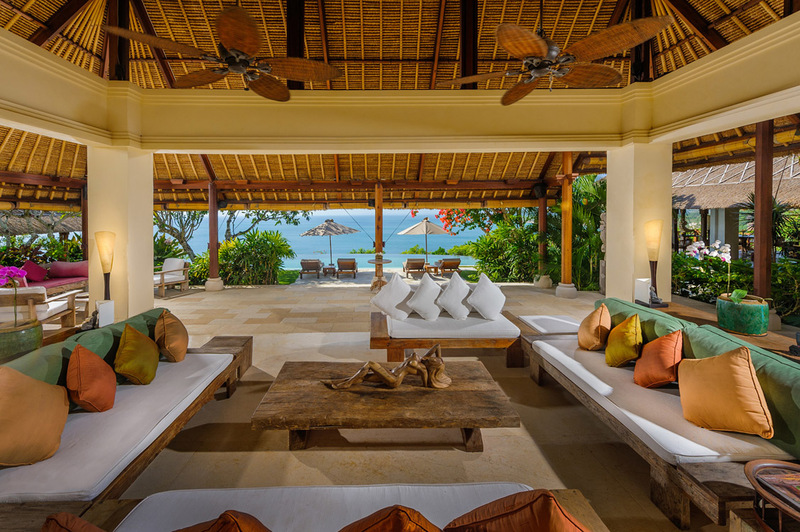 A selection of open-air living pavilions offer comfortably cushioned lounges, day beds and ottoman chairs where guests can relax in privacy or enjoy a sociable affair. Guests can choose between the casual alfresco or more formal dining area to enjoy meals together and there is a fully equipped modern kitchen to cater for large groups. 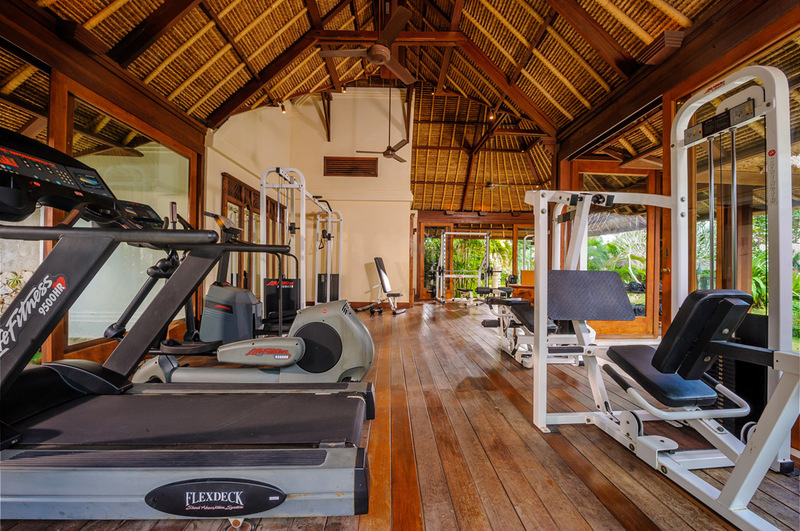 There is an air-conditioned media room come office where you can open bi-folding doors if desired and if you like to keep fit you will appreciate the fully equipped gym with a full range of cardio vascular and weight training equipment. 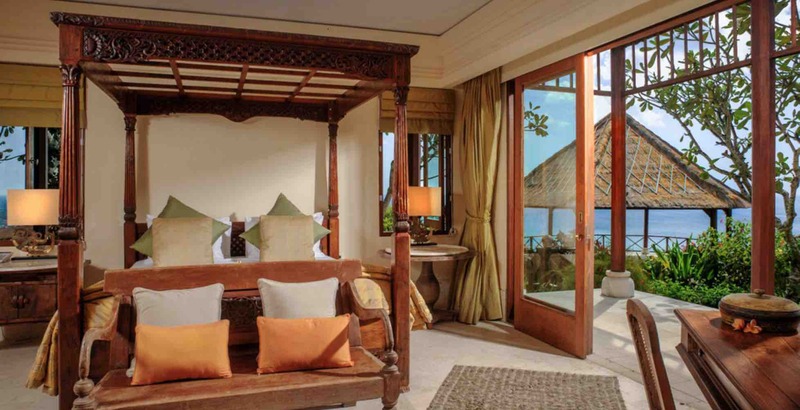 Five exquisite bedroom suites provide exceptional accommodation for up to 10 guests. 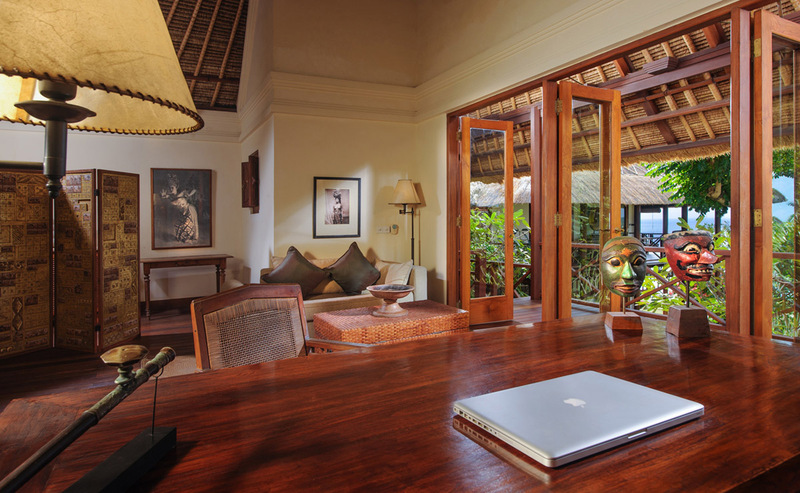 All featuring four posted king size beds, the bedroom suites feature the use of natural timbers and furnished with antique bed side tables, desks and wardrobes, brass elements add old world charm and elegance. 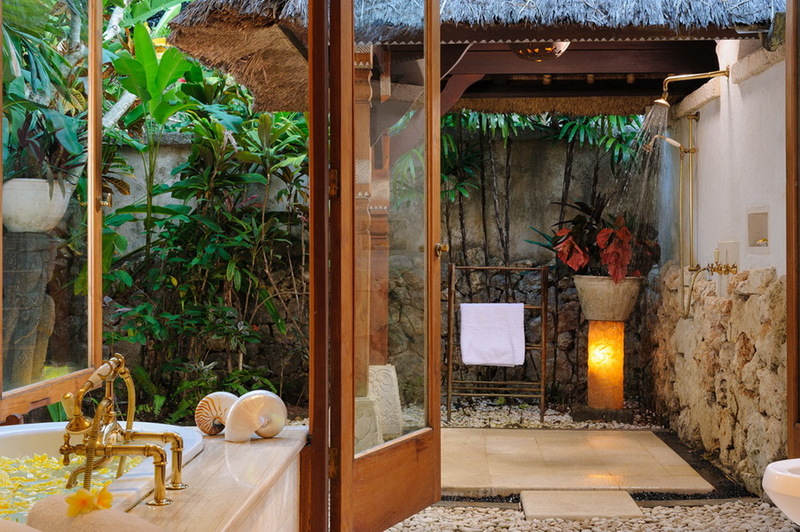 Built in soaking baths, indoor-outdoor private gardens with monsoon showers are ultra stylish for a lavish bathing experience. 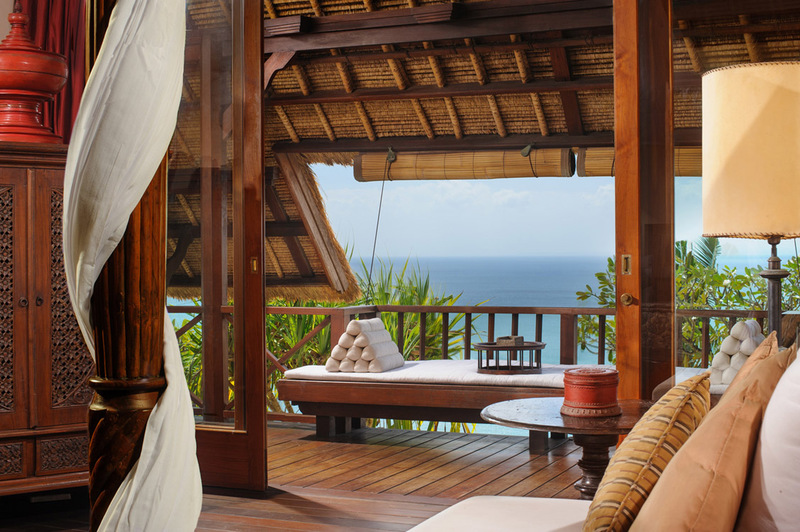 The Balinese staff with years of experience is well versed in looking after guests from all over the world. The skilled chef will be happy to prepare meals of any flare and the attentive butlers happy to serve you by the pool throughout the day with cooling refreshments and snacks. No matter your request the staff will be happy to serve you throughout your stay. 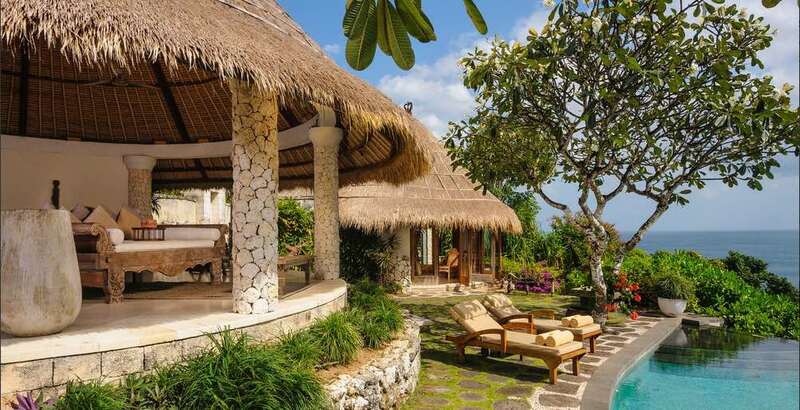 The villa is located on the cliff tops above Bingin Beach where you can traverse the cliffs down to the beach via stairs, visiting little huts along the way where you can order some local dishes and cold drinks. 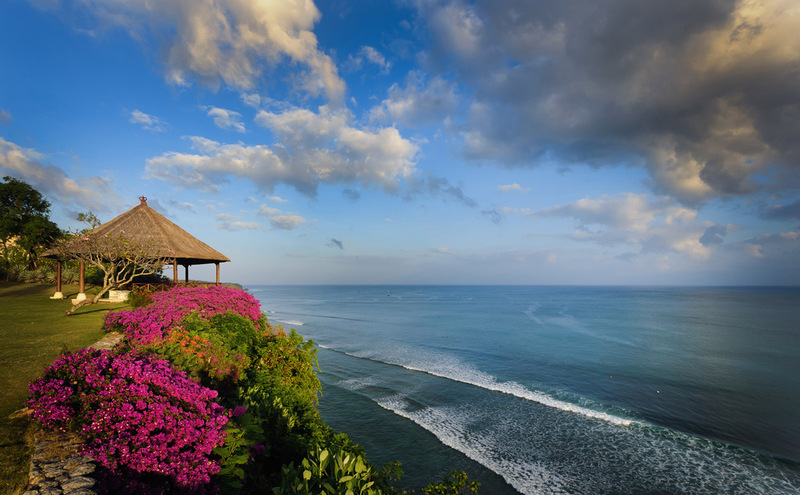 Balangan, Padang-Padang and Uluwatu Beach’s offer some of the best surfing in the world. Single Finn is a great spot to watch the surf with bars and local cafes. 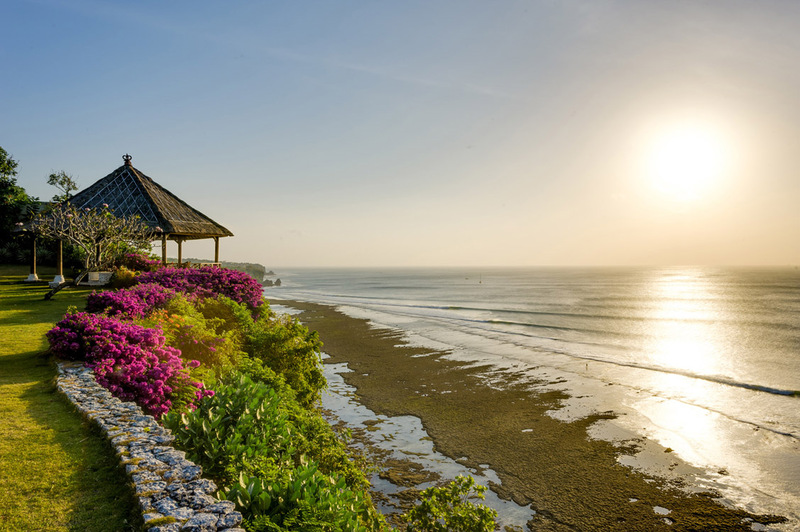 The Bukit Peninsula offers a good selection of lovely restaurants, trendy cafes where you can grab a smoothie or salad & eat as healthy as you like. 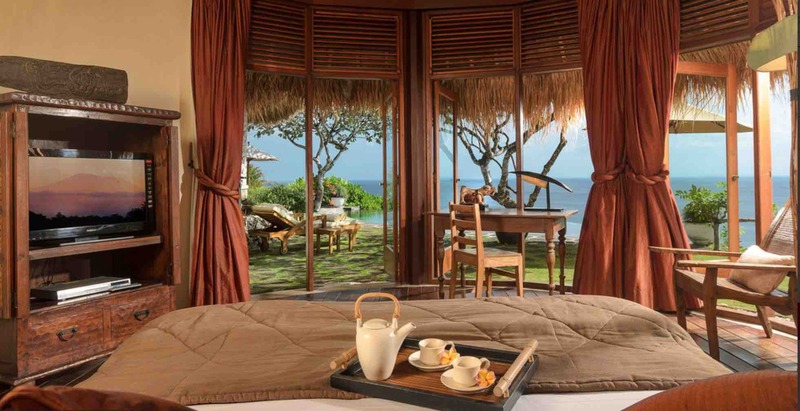 The whole area is designed for families to get a true sense of being on a Balinese holiday. 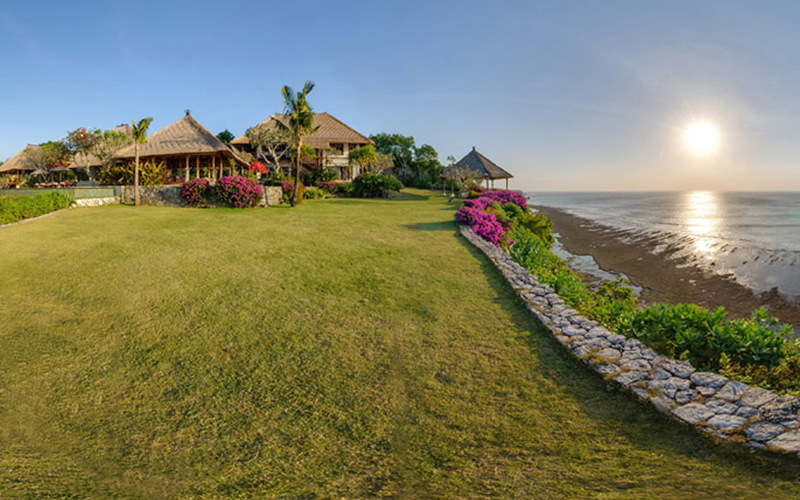 For a selection of Bali Villas in other parts of the island or to see some other clifftop Uluwatu villas, please speak to our reservation team today or browse this website. 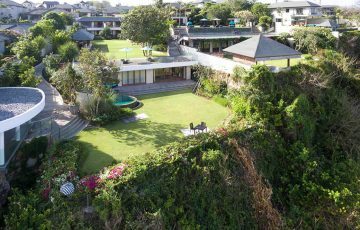 This is a popular Uluwatu villa rental so if your planning a trip to Bali, especially during the Australian scholar public holidays please book Villa Bayuh Sabbha well in advance. Spent the most incredible week here with my family of 6. 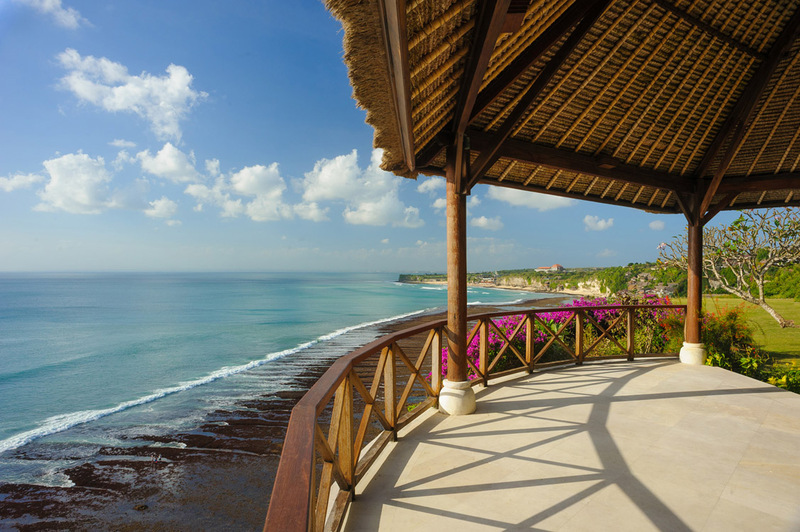 We just loved being in this spectacular location with those magnificent views. 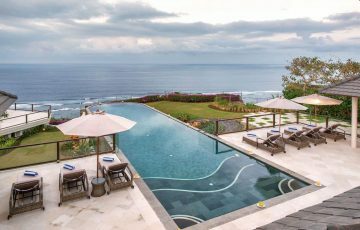 The entire villa was so much better than we were anticipating and we are already looking forward to our next trip here. 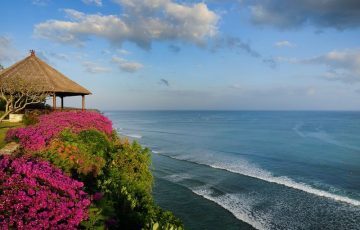 Being in Uluwatu was perfect as we are a surfing family and enjoyed being really close to this fantastic break. 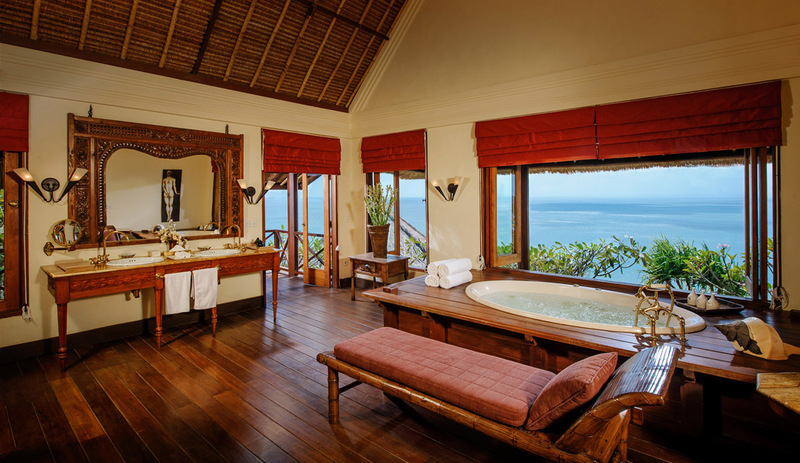 As far as the villa is concerned, the rooms, bathrooms as well as the pool were world class. Easily a 10 out of 10 from our group. 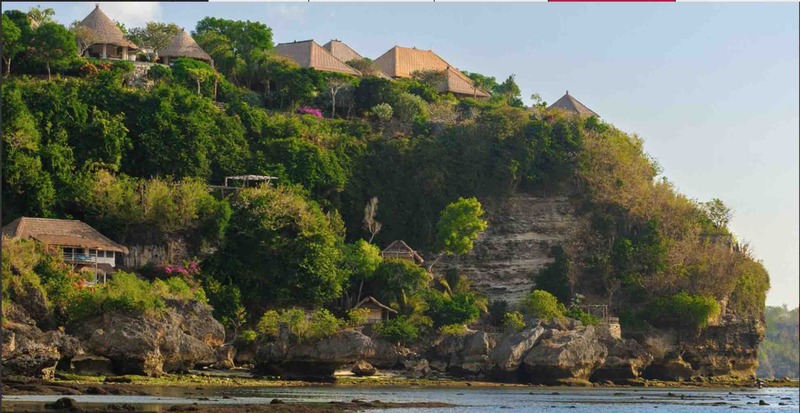 Had our wedding ceremony here and stayed here with some close friends for 4 days. Spectacular is the only word that comes to mind. 5 star service and facilities. We came here with another family - there were 9 of us in total and the whole time all we could say was how special this place really is. 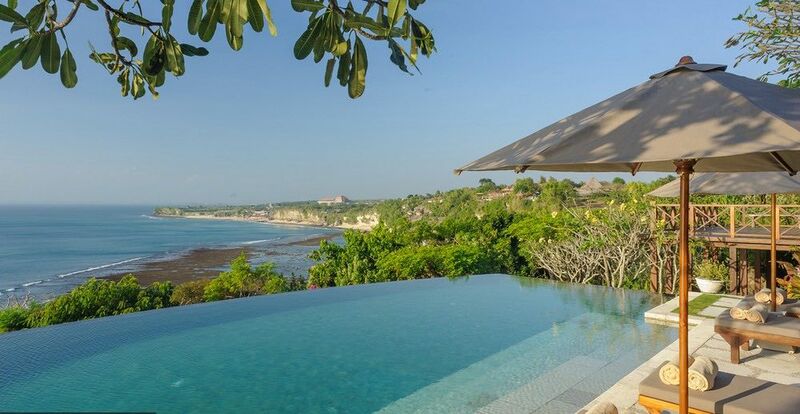 Divine sophistication combined with gorgeous views and a very customer focused team of villa staff all combine to make this villa a once in a life time holiday. 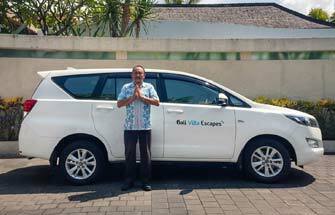 I really want to thank Ade at Bali Villa Escapes for his tireless efforts in replying to all our emails. The overall experience is exceptional. 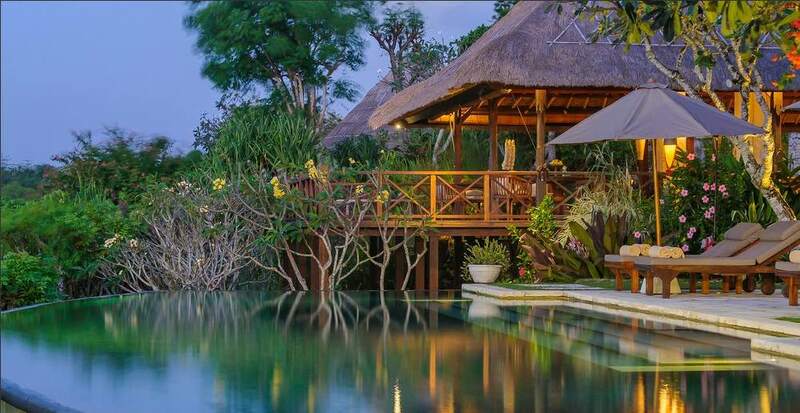 I really recommend this villa if you want to holiday in paradise. 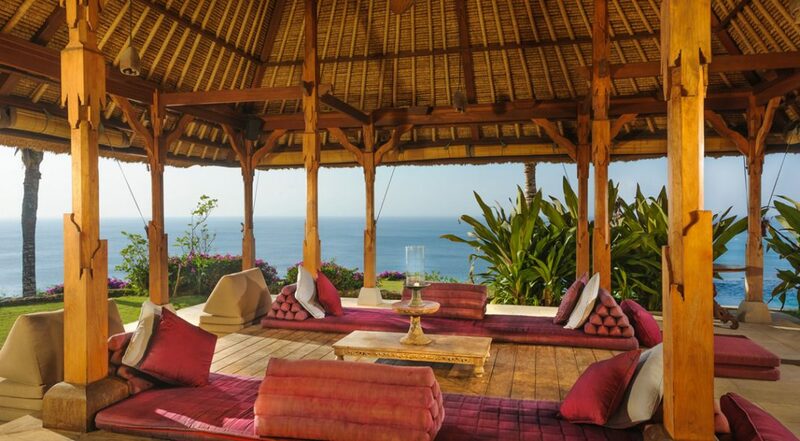 An amazing villa, panoramic views a fabulous experience. 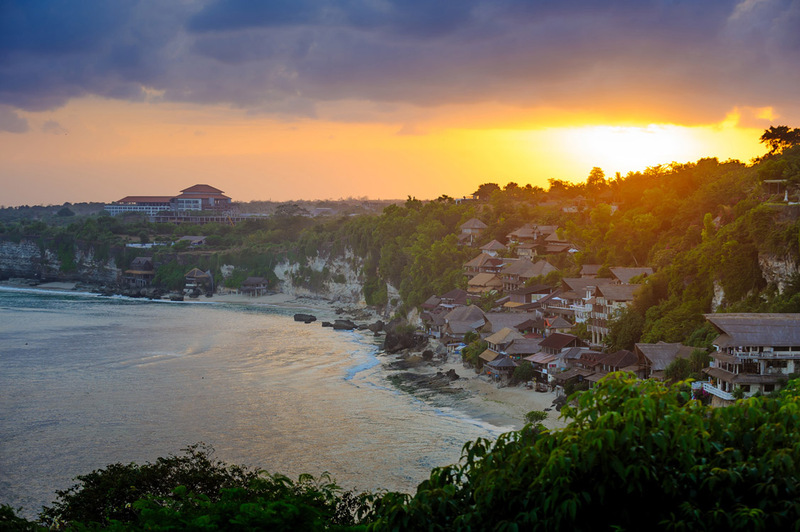 Came here with a group of friends and enjoyed being in the southern part of Bali. 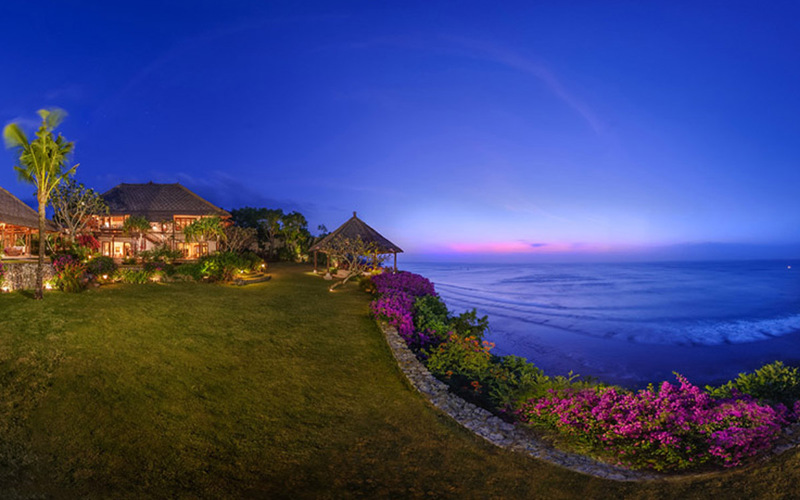 We are keen surfers and the villa was close to all the beaches we love. Staff were also really friendly. For the price this could not have been better. 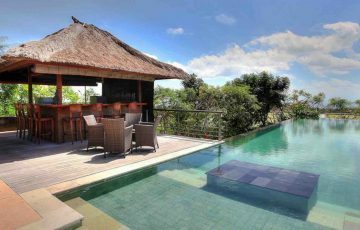 Amazing location, amazing staff, amazing pool and amazing views - that about sums this fabulous villa up. 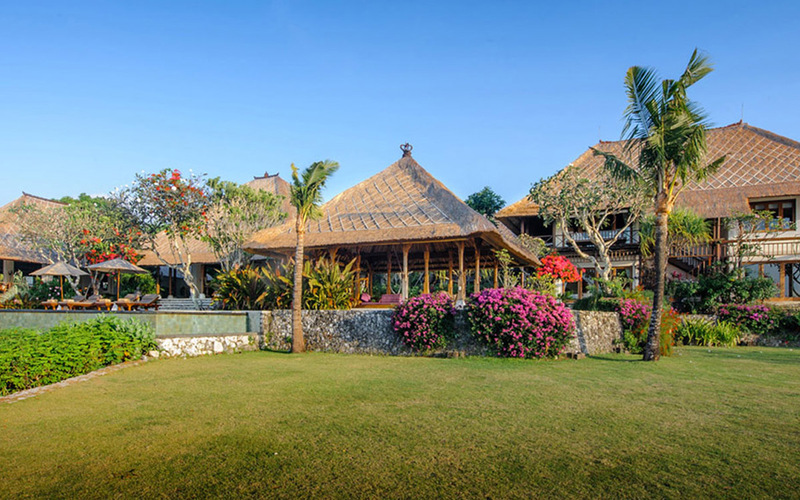 Just wanted to reach out to you and say thanks for organising our holiday here at Villa Bayuh Sabbha. We definitely made the right choice and with a little prompting from you we are so glad we did. It's hard to put into words the feeling you get after spending a few days here enjoying the villa and it's sensational facilities. 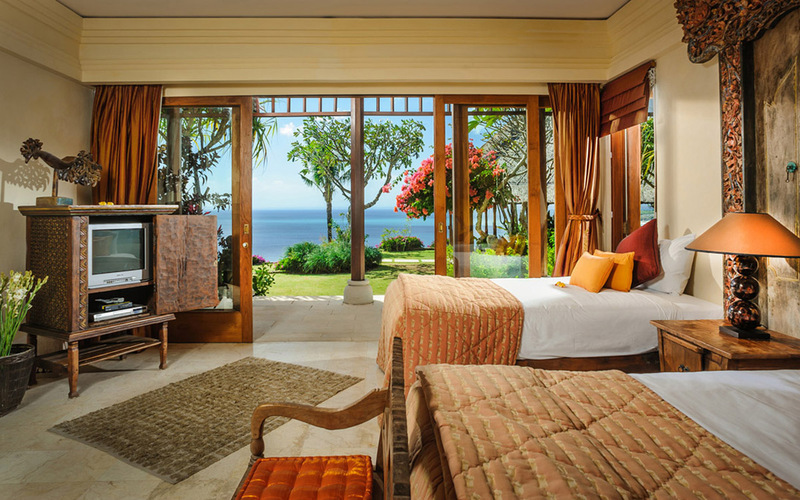 But, a few come to mind: luxury, serenity and harmony. 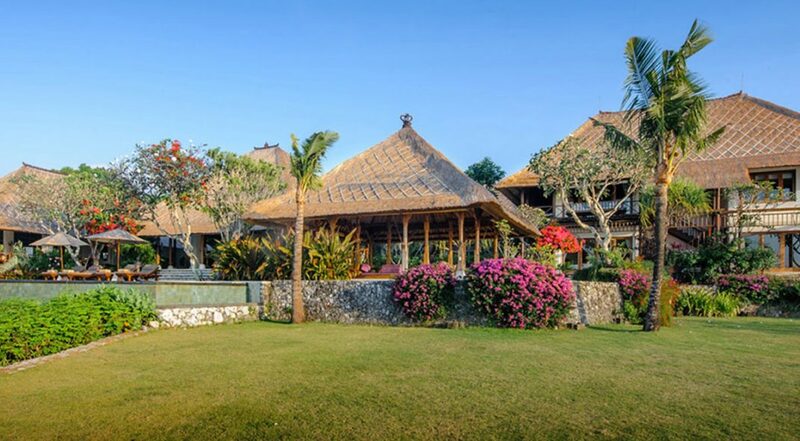 We look forward to booking this Villa next year for another week. Once again, to you Dewi - Thanks! Thanks to Wayan and all his staff at Bayuh Sabbha for the most wonderful time. Everything was perfect. We are missing you already.